In a case rife with police corruption and officers acting with vindictive immorality, the city of Cleveland faced losing BIG in a 5th Amendment case brought by Derrick Washington who had his property stolen by police. The case stemmed back to an incident in the morning of February 10th, 2013. Washington called the police at 2:09 in the morning to report a shooting in the 2800 block of East 116th Street. When officers arrived on scene Washington informed them that he had a valid concealed carry permit and that his firearm was in his car. In lieu of doing any real police work that might involve looking for the actual shooter, the police officers involved at this point decided to arrest Washington. The report they filed reported that he told them that he had been drinking. Washington was arrested and charged with using weapons while intoxicated and illegally carrying a concealed weapon. This is when that corruption and jackbooted immorality I spoke to comes into play. The report the police filed states that Washington told them he had 2 vodka drinks, a claim he denies. Yet he is arrested in part due to the trumped up charge with using weapons while intoxicated. You would think that the officers would back up this charge with something like…oh i don’t know…a BREATHALYZER! But no, all we have to go on is that they said he was intoxicated. On the second charge, how could Washington be charged with illegally carrying a concealed weapon when A) he didn’t have it on him and B) had a concealed carry permit? Because the officers claim that Washington didn’t IMMEDIATELY inform them that he had a gun in his car. That speaks as loudly to the idiocy of the law as it does to the corruption of the cops who just used the law to slap another baseless charge against Washington. What was Washington to do when the police arrived, run up to them and before saying anything else just start shouting that he had a gun? I’m sure that would have worked out well for him. For Washington’s part he maintains that he told the officers of his firearm as soon as he could. Considering the evidence (Washington was the one who called the cops), and lack thereof on behalf of the police (no breathalyzer, no video etc) I am inclined to think that Washington was both sober and told the officers about his firearm as soon as he was able. And since the firearm was in his car, the police had no reasonable suspicion to enter the car and take the gun in the first place. Unfortunately, because of the actions of the officers Washington was brought to jail, had his property seized and stayed there for 3 days while they tried to convince the DA to move forward with prosecution. The DA, seeing that the charges had no merit refused to prosecute. At this point, you would think that Washington, without being charged would be released and his property would be returned to him. You’re only half right. Because Cleveland has a city law that mandates that the police can legally steal and keep your firearm until a court ORDERS THEM to give it back. So much for being innocent until proven guilty and forget about the 5th Amendment’s “nor be deprived of life, liberty, or property, without due process of law“. 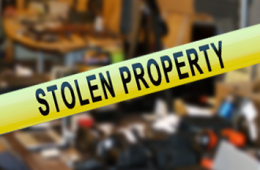 Having to SUE in order to have your property returned is NOT due process. We live in a country of checks and balances and the word of crooked cops should not be a free pass to invalidate the 5th Amendment. It took Derrick Washington 9 months of legal costs with 3 months of court battles to get his firearm back. He spent much more in those costs than the $500 that the gun was worth. That Cleveland has made a mockery of the Constitution is not in question. The “why” may be. But it is plain to see that the powers that be in Cleveland feel that instead of actually fighting for their rights, most people will just bend over and let the “Mistake By The Lake” have its way with them. Last week the case was settled and Washington will be getting his gun back. Whether or not Cleveland will also pay for Washington’s legal bills was not made public. While I am happy that Washington got what he wanted, I am unhappy about the fact that this case was settled. Since there is no binding court ruling stating how unconstitutional ordinance 627.11 is, Cleveland does not have to remove it from the books. As such, they can just keep stealing peoples property and put more people through this ordeal. This injustice runs the gambit of infringement. The 2nd, 4th and 5th Amendment violations in Cleveland are a trifecta of tyranny. And like all tyrants in America…it has got to go.